It’s a popular nightspot for young people because it’s free. Grab a bottle of wine and a guitar and head down the staircase at Pont Neuf. There’s a small peninsula sitting in the middle of the Seine called Square du Vert-Galant. Take in the city around you from the center of the river. Or try it during the day. Paris is home to the first modern shopping malls. Little avenues covered with glass ceilings were made for customers to shop despite the elements. All around Paris you can locate different passages with an array of personalities. Galeries Palais Royal has a great amount of history, a lovely garden, and some of the most upscale shops in Paris. Passage Brady houses Indian restaurants and shops. Passage Jouffroy is a bustling spot with charming shops. Passage des Panoramas has delicious food from a Michelin star restaurant to a gourmet hamburger bistro. These are only a few. Old quarry mines run all the way underneath the city. There is a tour-guided descent into the catacombs. It’s a must. Sure, you can idealize strapping on a headlamp and waterproof shoes to go on your own, but it would be dangerous. There are multiple entrances to the catacombs all over the city. Cataphiles enter and memorize the pathways. It’s pitch-black, damp, and claustrophobic if you’re not used to confined spaces and the possibility of getting lost and never found again. All of this is of course not legal. I can’t condone it, but if you hire someone to help you find your way, there are secret rooms, murals, and parties underneath Paris. If you’re visiting for a short or long period of time, think about meeting up with a Parisian. You can test out your French, and many people love the opportunity to test out their English. I’ve done this where you go and speak in French for thirty minutes and then switch over to English for thirty minutes. It’s so helpful! Use Meetup.com or check manual postings outside some of the language schools. My favorite lunchtime activity is grabbing wine, cheese, a baguette and a few friends to picnic in the park. I recommend Parc Montsouris and Jardin de Luxembourg for starters. Soak in the sunlight and enjoy the surroundings. There is a little restaurant called Breakfast-in-America. Sacrilegious, I know, but sometimes if you’ve been abroad for a long time there will be a moment where you need 2 hours of home. I suppose this only applies if you’re American, but at one point in my stay in Paris, I desperately wanted a taste of home without caving and buying a Starbucks. Be sure to check out this article on News Cult. 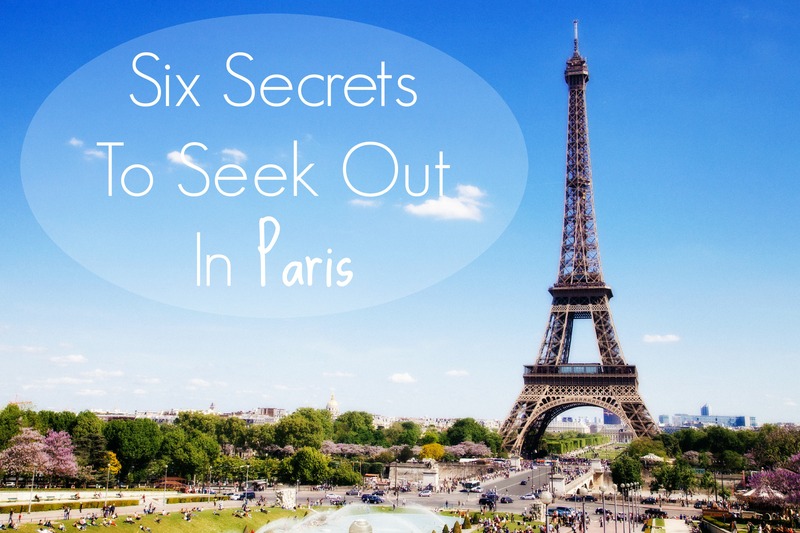 And let me know if you have any suggestions from your time in Paris!